Code can be activated only on new accounts! The Xbox Game Pass is a subscription to Xbox One, Xbox Play Anywhere and Xbox 360 games (with backward compatibility) for Xbox One consoles. Access to games requires an active subscription. Games included in the subscription may change over time, may depend on the country and may not be available in all countries. 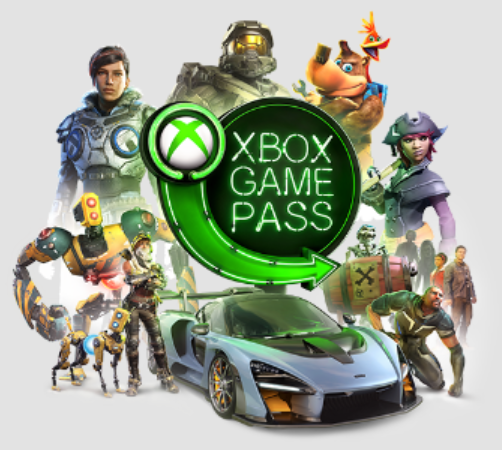 After activating the key, you get 1 month Xbox Game Pass + 1 month is given for linking to Microsoft any of the available methods of the next auto payment in the Microsoft Store. Similar you will see when you activate the key. ONLY ON NEW ACCOUNTS, WHERE WERE NO ANY PAYMENT METHODS HAVE BEEN ATTACHED. Note: Immediately after activation, you can unbind your billing information from Microsoft Store. Code must be activated immediately! - Open the Microsoft Store. - Select the Advanced menu (next to the search field). - Select Activate Code. If you have not signed in yet, sign in to the Microsoft account for which you want to use the code. - Enter the code and click Activate. - Select Store > Use Code. - Follow the on-screen instructions to activate your code or payment card.